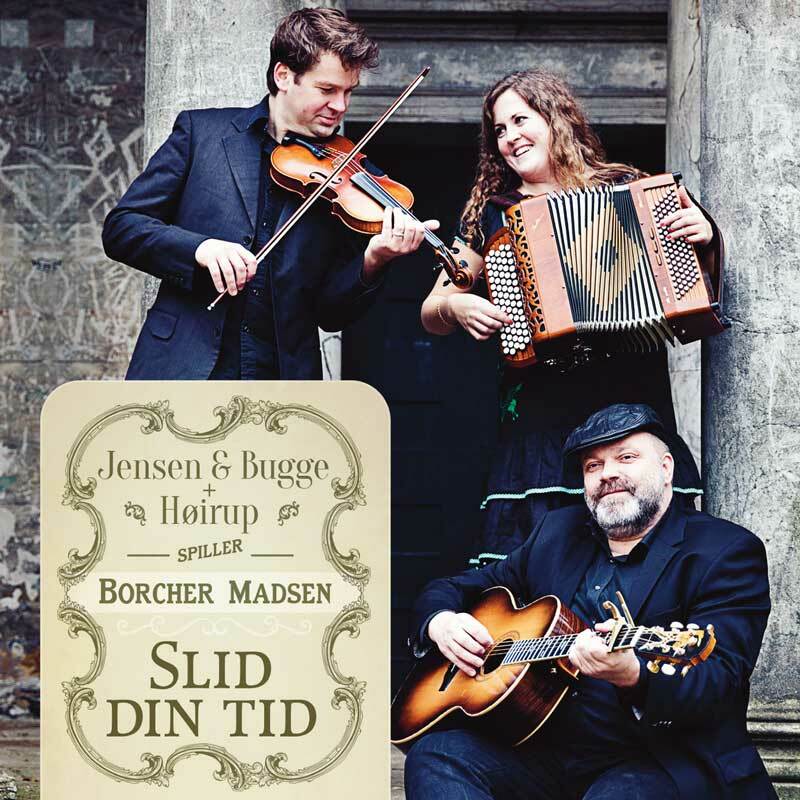 Celebration of the fiddler and composer Borcher Madsen´s 200th birthday. Mette Kathrine Jensen, Kristian Bugge and Morten Alfred Høirup celebrate the fiddler and composer Borcher Madsen´s 200th birthday. Borcher Madsen (1815-1897) was from the Southern Danish Islands of Falster and one of the regions most talented musician and dance music composer of that time. The Trio has been working with his music and history which now result in this recording and a booklet included short stories about Borcher Madsen. From the booklet: “..It is told by his grandson William Hansen – a well-known music director himself – that often Borcher’s house in Nykøbing was visited bymusicians from the neighborhood who asked for new tunes to take home. Then Borcher Madsen immediately took pen and paper and wrote effortlessly a waltz, a mazurka, a galop (fast polka) or something else directly from the top of his head and arranged for five or six instruments. That’s how it could sometimes happen when Borcher was playing a gig somewhere and someone would come up to him with one of his own compositions. He couldn’t remember or recognize his own tune at all and therefore would have to relearn it from the top..”.